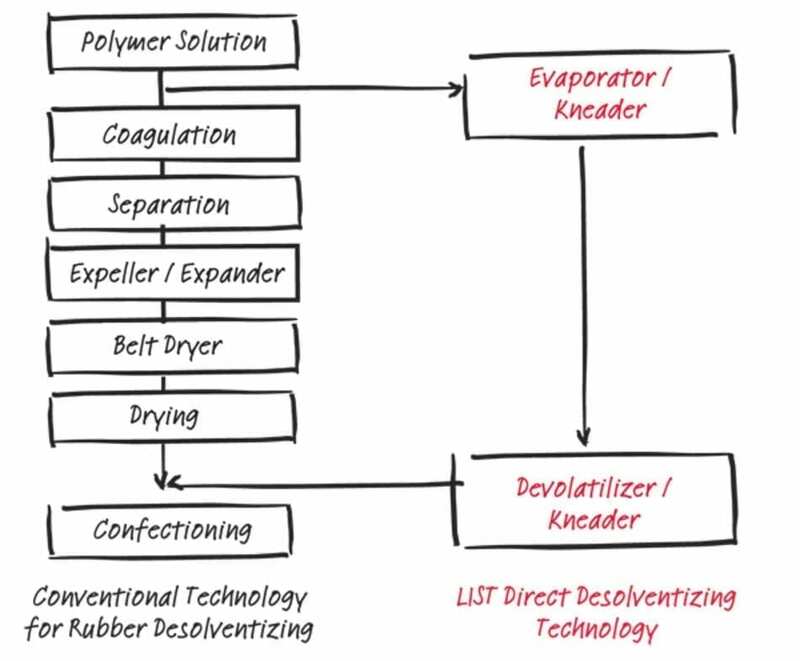 The LIST direct devolatilization process is the most advanced and economical method for the devolatilization of a wide variety of polymers and elastomers. By increasing the residence time of the product in the process chamber the solvents and residual monomers can be removed more efficient. At the same time the product-damaging shear is significantly reduced. As a result a better product quality can be achieved while minimizing residual volatiles. The LIST KneaderReactor is very well suited to remove these residual volatiles in a high viscous polymer solutions. This technology is typically used where solvent removal is hindered by poor mass transfer kinetics. In order to compensate this lack of evaporation performance, high surface renewal at lowest mechanical heat input is required. The large free vapor volume of LIST KneaderReactors helps to run the equipment under deep vacuum. 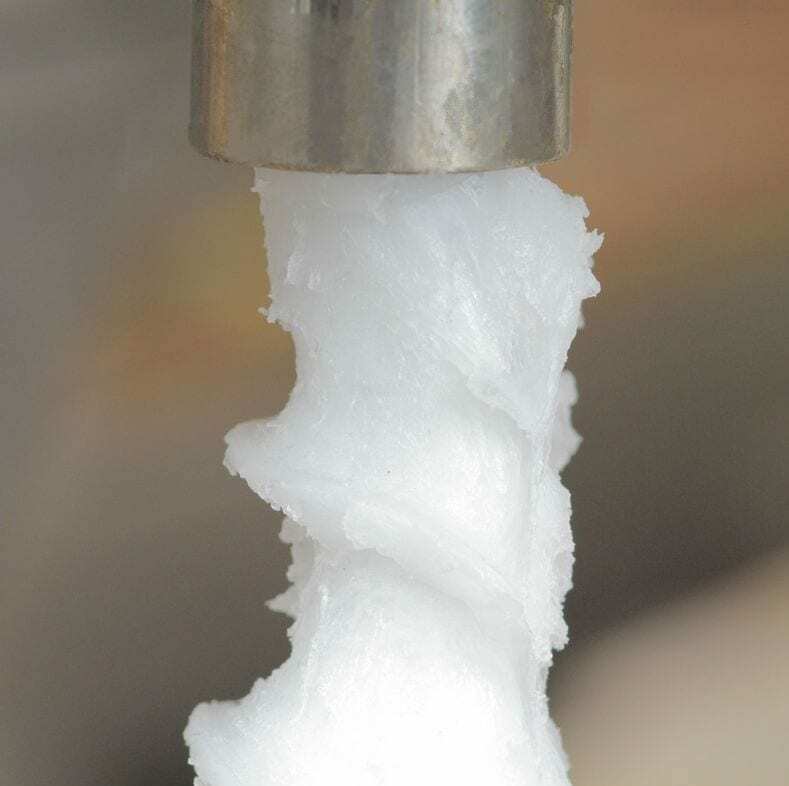 Optionally, a stripping aid can be used which will reduce the partial pressure of the solvent or regulates the product temperature by the evaporative cooling of this aid.